More information on the upcoming Digimon Story Cyber Sleuth: Hacker’s Memory has been announced by publisher Bandai Namco, including the introduction of two new characters as well as a new gameplay system. According to the announcement, Hacker’s Memory will introduce a brand-new character named Chitose Imai, a hacking genius that creates his own digital tools as weapons for information hardware. Chitose is the vice leader of the hacker group, Hudie, and is partnered with Ankylomon. Also announced is the return of Nokia Shiramine, who was in the original Cyber Sleuth game. In Hacker’s Memory, Nokia is the leader of a hacker team called “Rebellion” that protects Digimon in the Digital World. The announcement also revealed the Territory Battle Quest gameplay system. The new system lets players recruit characters to fight against other hackers in unique battles with the goal of taking over more territory in the Digital World. The Territory Battle Quest system also allows players to interact with their formed team and raise their friendship levels to unlock items and additional story elements. 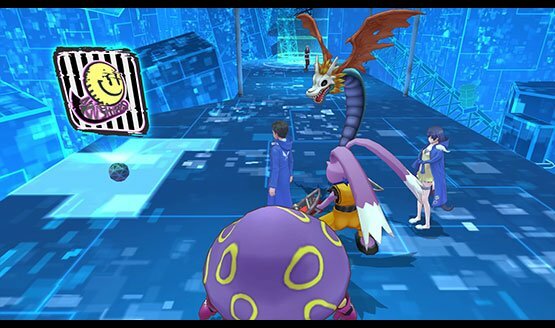 Digimon Story Cyber Sleuth: Hacker’s Memory is scheduled for release in Japan sometime in 2017 and worldwide sometime in 2018 for the PlayStation 4 and the PS Vita.